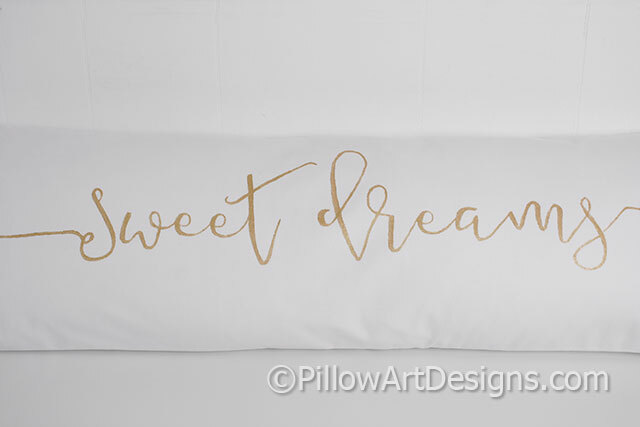 Long lumbar pillow cover made to fit insert measuring 12 X 36 inches (not included). 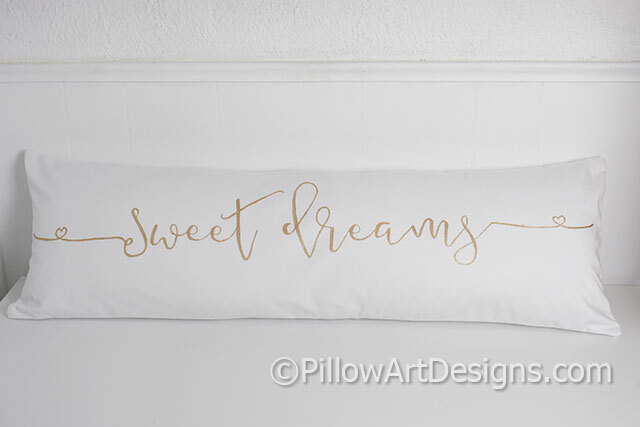 The words 'Sweet Dreams' are hand painted across the front in cursive calligraphy with trailing wisps on both sides of the words. 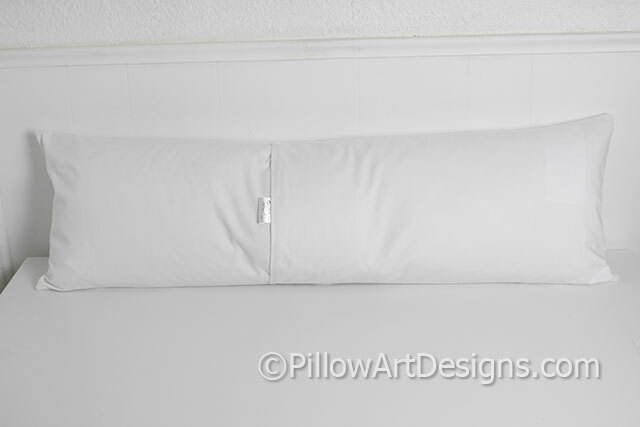 Outer fabric is white cotton polyester twill, fully lined with white cotton polyester. Non toxic fabric paint used, will not flake, rub off or wash off.